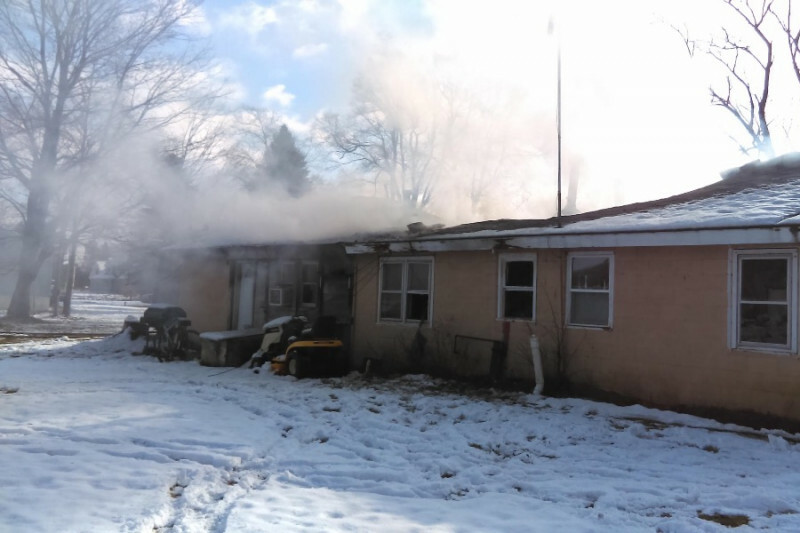 On December 5th, the Roebuck Family (Billie, Laurie, and Isaac) experienced a devastating house fire. Most of the roof has collasped and they are calling it a total loss. We are still unsure what is salvagable from the fire. The money raised will be used to meet immediate needs, such as clothing, and other basics as they get settled and figure out insurance coverage and temporary housing. Please consider giving during this holiday season to help our family. They will be extremely grateful for anything you can give after such a traumatic event. Other things that would be helpful are gift cards to Meijer and other places. For more information, please contact a family member (Laura Roebuck -daughter-in-law, Lindsey Victorson - daughter, Chris Roebuck - son, Justin Roebuck - son, and Josh Victorson-son-in-law). Here is a picture of the inside of the house. Still waiting on updates as to what was salvageable. Here is a picture of the living room. Where can gift cards be sent? So sorry for your loss. Wish I could do more. We do have some furniture you could have: sofa-bed, microwave, homemade table, shelving. Love you guys. I'm so sorry for the loss of your home and memories. I'm glad everyone is safe. Continuing to pray for you friend!